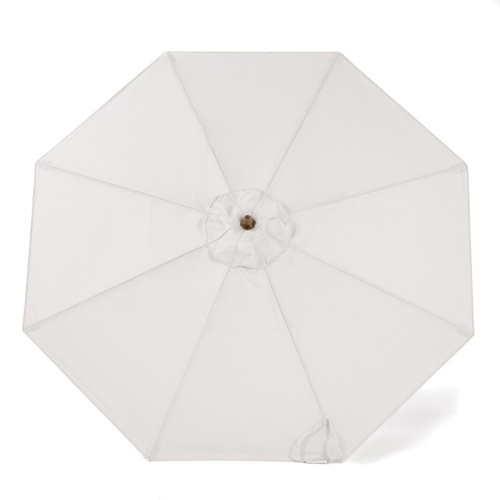 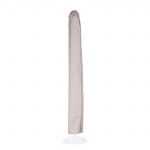 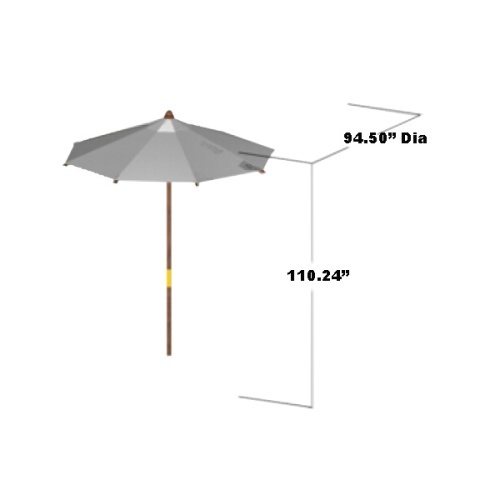 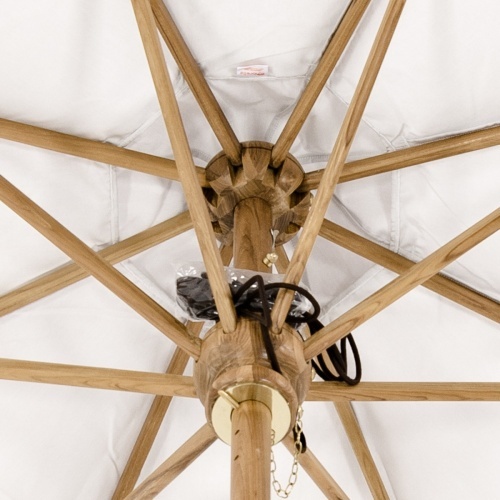 The Somerset Round Umbrella is 8 ft. tall and has a pole 1.95 inches in diameter for strength and stability, built to last through any weather, year after year. 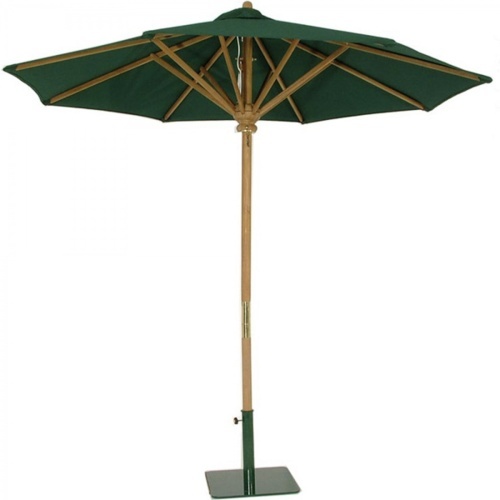 We offer 3 in stock Sunbrella fabric color selections which will ship with the umbrella, or a choice of made to order fabric colors (shipped separately). 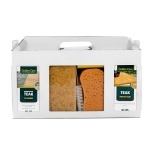 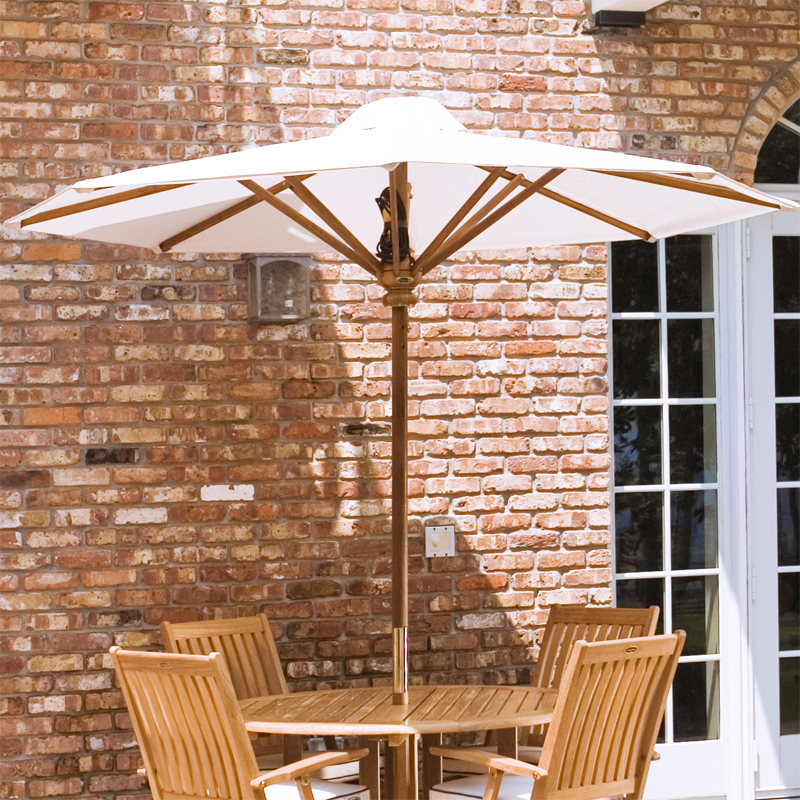 A variety of colors are available to best suit any taste and style. 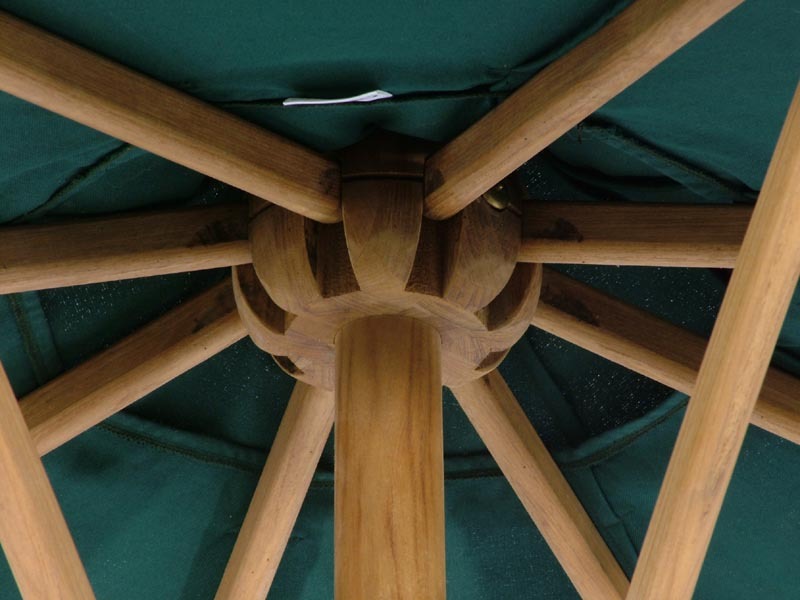 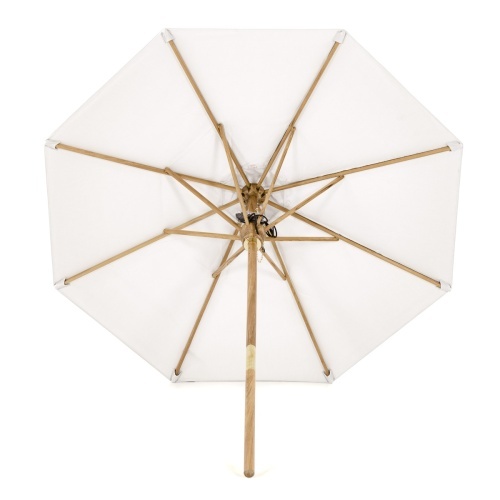 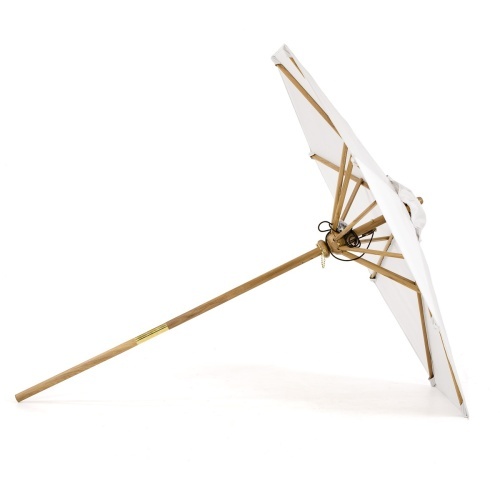 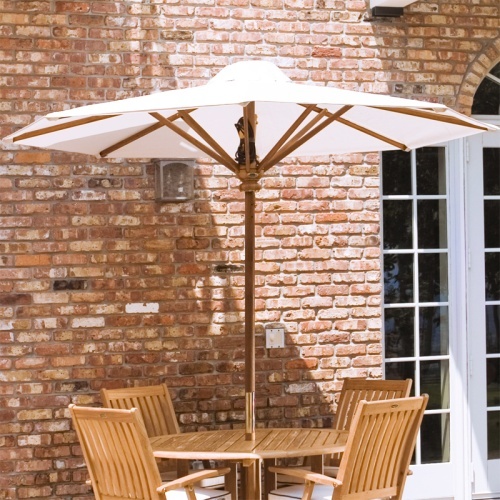 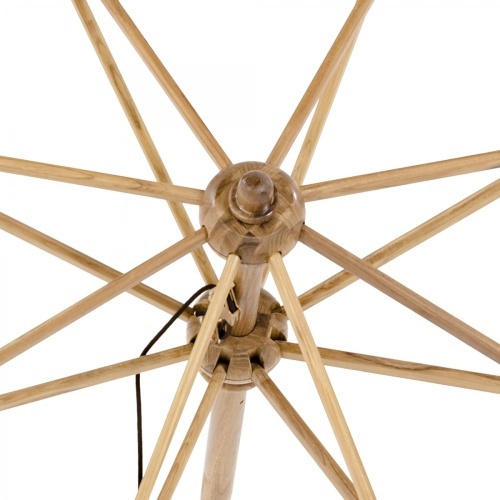 Depending on the teak table selected, a parasol base may or may not be necessary. 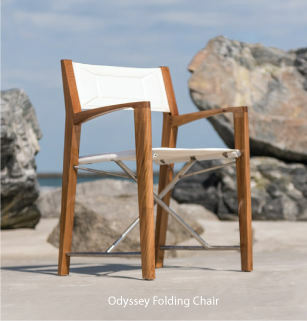 The time is now 10:27 PM EST!